Greg Anderson and Elizabeth Joy Roe. APPLETON, Wis, (WFRV) - Lawrence University announced the performers it will bring to the campus for its two-part 2019-20 Performing Arts Series. According to a press release: Season tickets are on sale for the Artist Series, the Jazz Series or a compilation of four shows from either of the series. Single show tickets will go on sale Sept. 17. All performances will be in the Lawrence Memorial Chapel. + Brooklyn Rider: 8 p.m. Friday, Oct. 4. With a focus on healing, the string quartet has been drawing rave reviews from classical, world and rock circles. The quartet be performing its new project, “Healing Modes,” a nod to the healing properties of music. It is a return visit to Lawrence for Brooklyn Rider. + Tine Thing Helseth, 8 p.m. Friday, Feb. 28. The Norwegian trumpet virtuoso has quickly risen in stature, her intensity and enthusiasm garnering her rock star status. She has been hailed as one of today’s foremost trumpet soloists, at ease playing Bach and Haydn but also incorporating arrangements from the likes of Puccini and the Beach Boys. 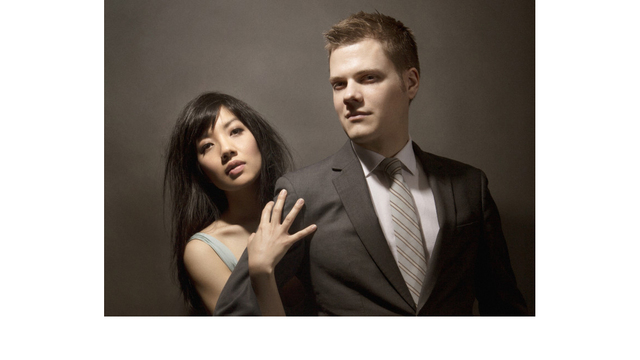 + Anderson & Roe Piano Duo, 8 p.m. Friday, April 3, 2020. Known for their adrenalized performances, original compositions, and must-see music videos, Greg Anderson and Elizabeth Joy Roe bring high energy to the piano duo experience. The duo is making a return appearance at Lawrence several years ago. “The Anderson & Roe Piano Duo always give exciting and inventive performances,” said Michael Mizrahi, associate professor of music. Here is my review of a performance by Anderson & Roe in April 2018 at Ashwaubenon Performing Arts Center, with the first sentence good for a laugh: https://www.wearegreenbay.com/critic-at-large-wearegreenbay/warren-gerdscritic-at-large-review-high-caliber-pianists-stir-up-storms-of-notes-in-ashwaubenon/1107220891. + Melody Moore, 8 p.m. Saturday, April 18, 2020. A soprano who has played some of the world’s leading stages, Moore is drawing plenty of notice. Her resume during the past year has included performances with the Houston Grand Opera and the Los Angeles Opera, and she is set to record a solo album of American music for Pentatone Records. “I am so thrilled to know that my friend and colleague will be visiting Lawrence to present what I know will be a phenomenal recital,” said John Holiday, assistant professor of voice in the Conservatory of Music. “I first met Melody Moore in 2015 at the Glimmerglass Festival, where she made an explosive role debut as Lady Macbeth. We met each other and have been inseparable as buddies. Not only is she the consummate artist, but she is kind, thoughtful, engaging and fiercely talented. + Lawrence Jazz Ensemble and Symphony Orchestra, part of Fred Sturm Jazz Celebration Weekend, 7:30 p.m. Friday, Nov. 8. A special event combining sounds of the Jazz Ensemble and Symphony Orchestra with featured performances by members of the jazz faculty. Works include music by Fred Sturm, Chuck Owen, Duke Ellington, and more. More than 100 performers will showcase music that integrates jazz, improvisation and the beautiful sonorities of the orchestra. + Miguel Zenon Quartet, part of Fred Sturm Jazz Celebration Weekend, 7:30 p.m. Saturday, Nov. 9. Miguel Zenon is a multiple Grammy nominee. He’s considered one of the most groundbreaking and influential saxophonists of his generation. He also has developed a recognized voice as a composer and as a conceptualist, focused on a mix of Latin American folkloric music and jazz. A native of San Juan, he has released 11 albums under his own name while also working with a bevy of jazz innovators. + Harmony featuring Petra Haden, Hank Roberts, and Luke Bergman, 8 p.m. Friday, Feb. 7. Frisell has carved out a prolific career as a guitarist, composer and arranger, showing extraordinary range and depth. His work is rooted in jazz but incorporates elements of blues and other popular American music traditions. The Grammy winner has collaborated with a wide range of musicians, filmmakers, and painters through the years. + Tigran Hamasyan Trio, 8 p.m. Friday, May 1, 2020. The pianist and composer is called one of the most remarkable and distinctive jazz-meets-rock pianists of his generation. A piano virtuoso with groove power, his most recent recording was 2017’s “An Ancient Observer,” his eighth release as a sole leader. Contact me at warren.gerds@wearegreenbay.com. Watch for my on-air Critic at Large editions on WFRV-TV at 6:20 a.m. Sundays.